The holidays are quickly approaching! and I have been a little busy getting some crafts complete. To be efficient, I have combined some challenges. I know, I could probably make more stuff if I separated the challenges, but I am in a pinch for time. We are hosting Thanksgiving dinner at our house this year. And, well, I always do more than I have to, and I really like everything to 'belong'. So, I do a place setting, a Thanksgiving trivia card, and of course a little 'party' favor. So, I sent out to find some inspiration to get my decorations in order. I went to some favorite challenge sites, and found some great inspiration! First stop: the Shabby Tea Room. They have a great fall inspired photo to help get those creative juices flowing! 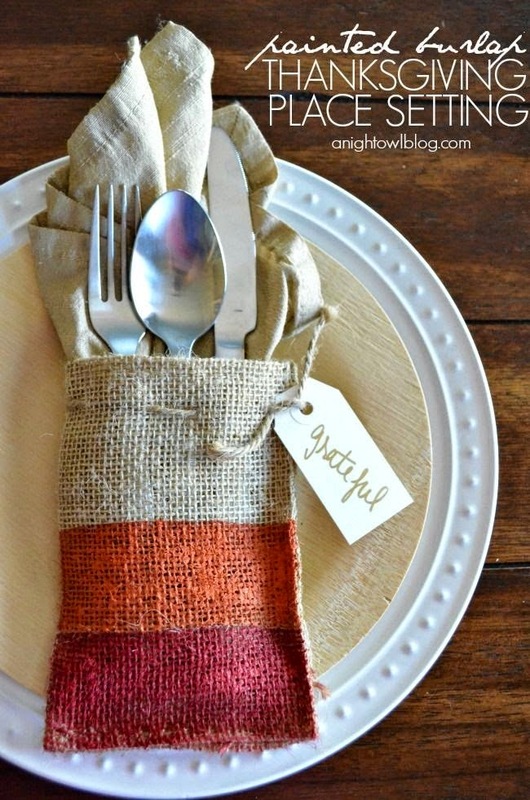 oh, and a requirement: burlap and/or twine. How country/shabby is that? Awesome! and then I headed over to Word Art Wednesday. Their challenge this week is: Anything Goes! They always include a wonderful scripture, and this week, it fits perfectly with the above inspiration photo. I cut a large scallop trim piece from kraft card stock, by Recollections. I used this piece to hide the seam where the two pattern papers meet. 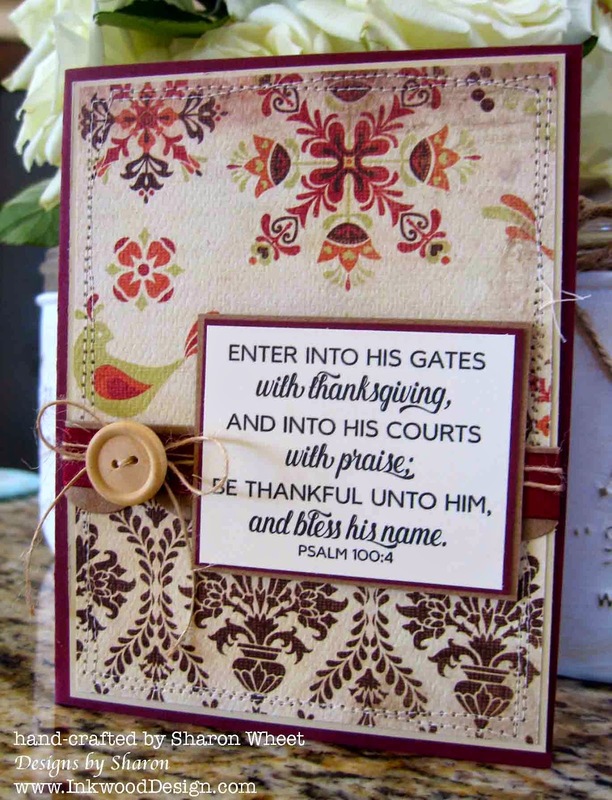 I printed the scripture onto very vanilla card stock, by Stampin' Up!. Then I did a double matt: scarlet and kraft. Easy peasy, and pretty plain for me. But, I do love it! Thank you for stopping by! 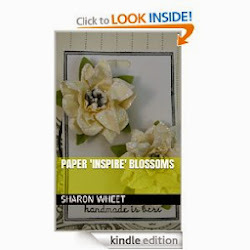 I hope you have been inspired to play along with both of these fabulous challenge sites! Beautiful elegant and classy card!! Thank you for joining us at "The Shabby Tea Room" for our "Grateful" challenge! 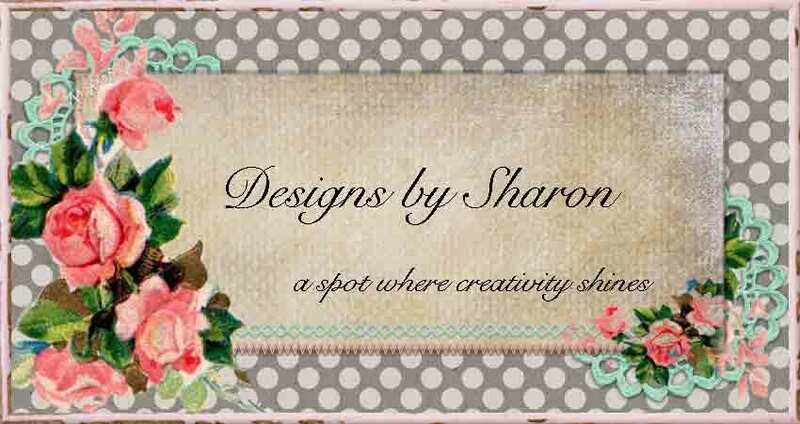 I LOVE your card, Sharon, and it's such a blessing to see the word art used SO beautifully and SO creatively. The background on your card is STUNNING. One of the prettiest cards I've seen all week, and I really mean that. Thanks so much for sharing with us. God bless your week! Very elegant card, what a beautiful sentiment. Thank you sharing your pretty card with us in The Shabby Tea Room.